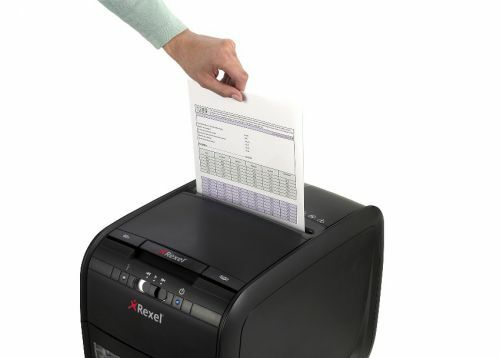 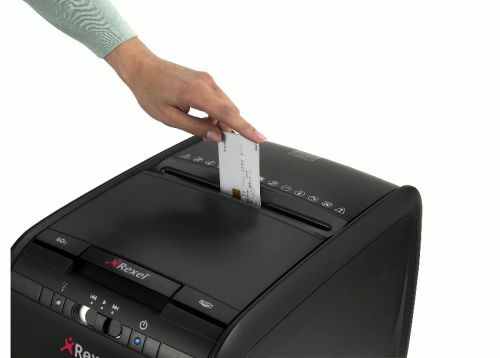 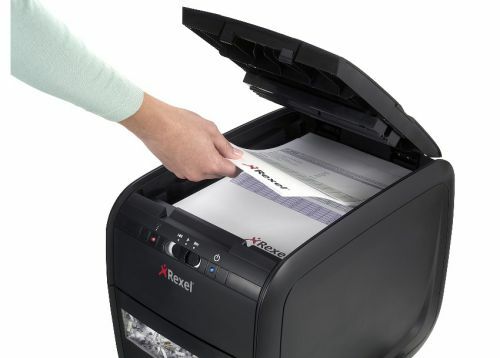 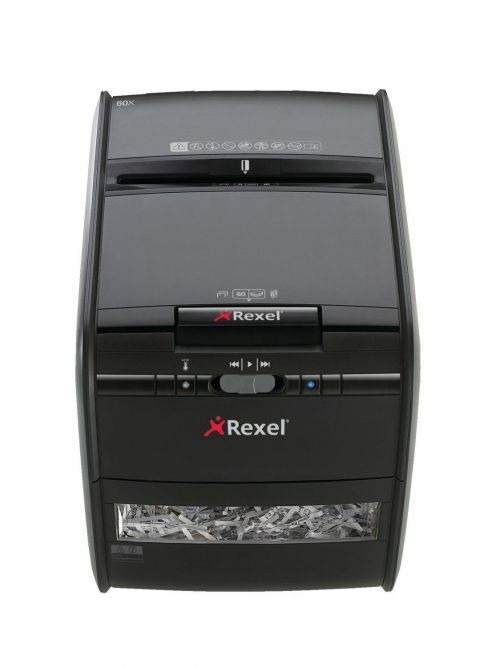 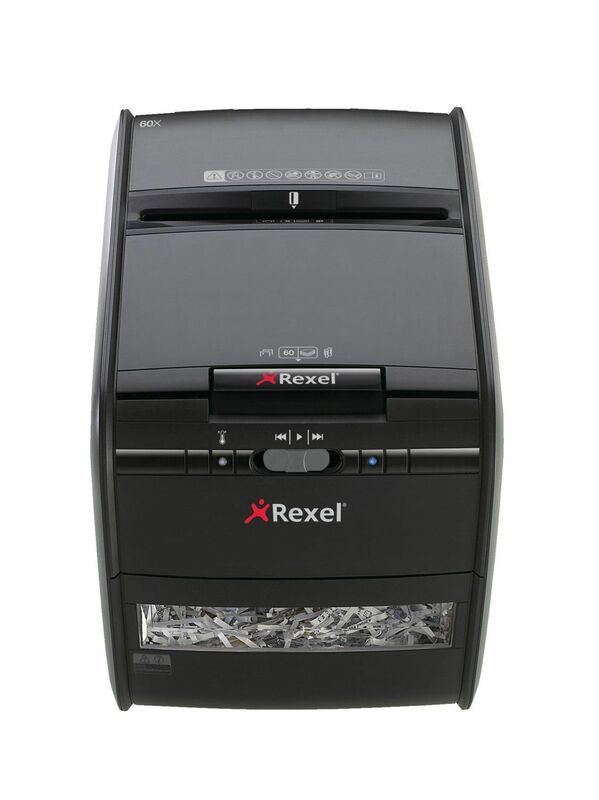 The Rexel Auto+ 60 shredder can continuously shred up to 60 sheets of A4 paper (80gsm) into 200 pieces at a P-3 security level, and also shreds staples, paperclips and credit cards. 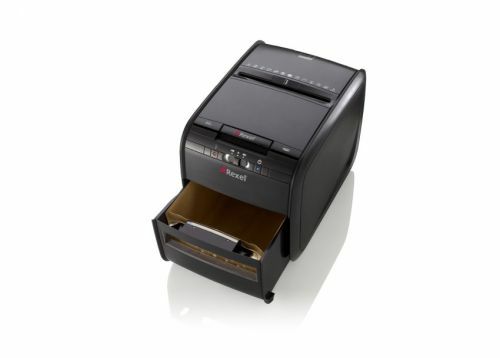 The easy to empty 20 litre waste bin holds up to 100 sheets, with a manual feed slot for quick shredding of up to 5 sheets. 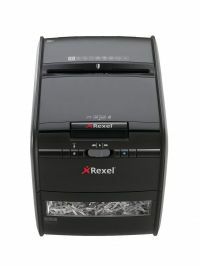 The Auto Feed technology means you spend 98% less time shredding than when using a manual feed shredder.